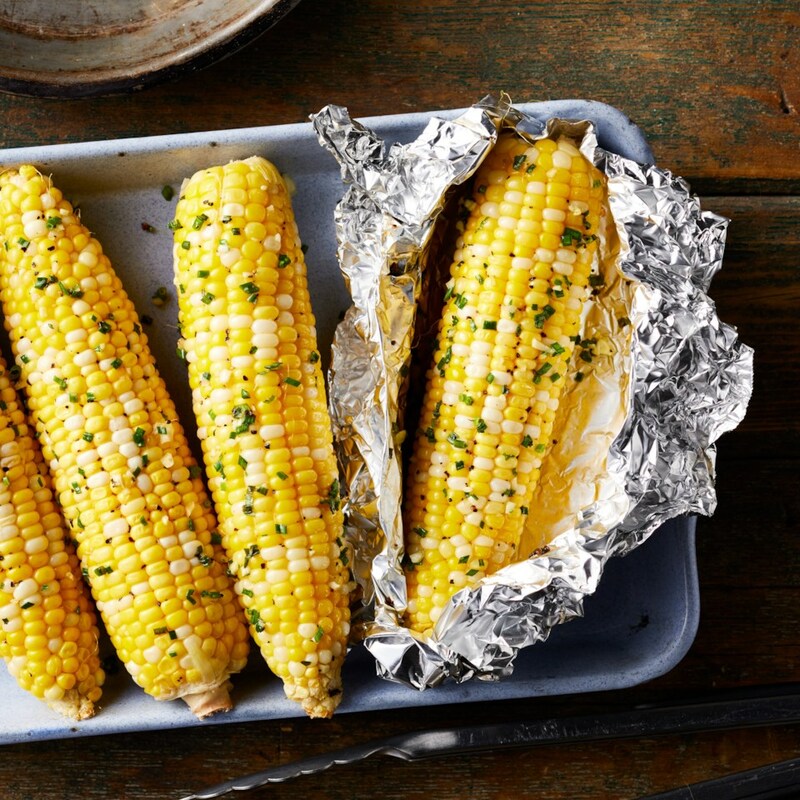 Find out how to microwave, grill and boil summer's sweetest vegetable—corn. 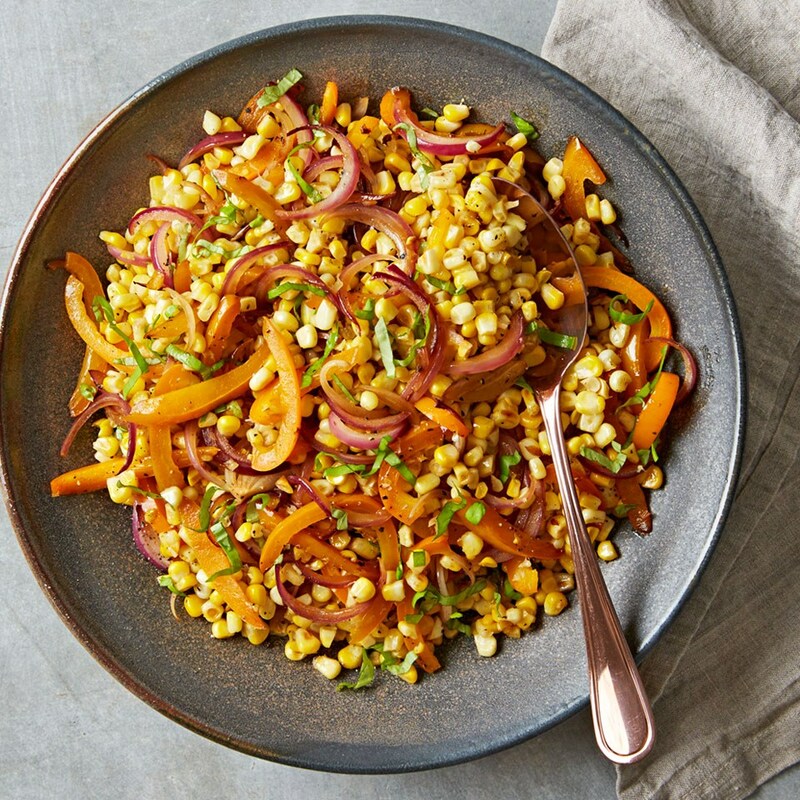 Everyone loves sweet summer corn, but if you're in a rush, it's often not the fastest choice. It's not that it takes a long time to cook, but the shucking combined with the painstaking duty of removing all the straggling silks left on the cob makes it one of the more high-maintenance vegetables out there. Unless... you cook it in your microwave. Yes, your microwave. Cooking corn in the microwave eliminates pre-shucking since it's cooked right in the husk. And once it's done, the husk and silk slip right off—like magic—making it by far the fastest (and least messy!) way to cook corn. Here's how you do it, plus two more great ways to perfectly cook corn on the cob. 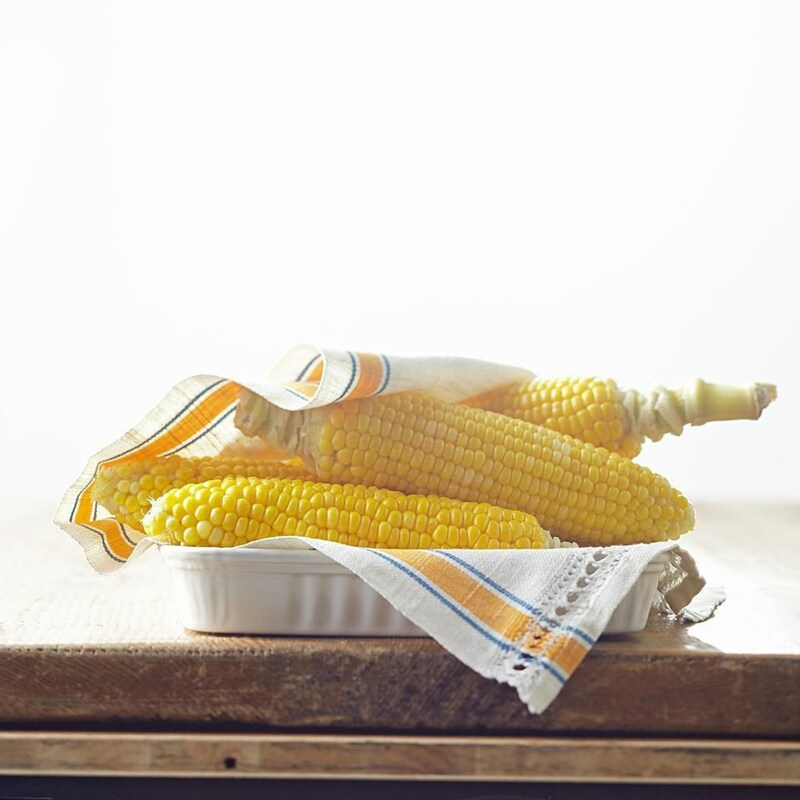 Place corn one at a time (in the husk, untrimmed) in a microwave-safe dish. Microwave on High for 5 minutes. Use a towel or wear gloves to transfer the corn to a cutting board. Use a sharp knife to cut off the stem end, including the first row of kernels. Make sure you cut all the way through the husk. Using a towel (or wearing gloves), grasp the ear of corn from the top end and shake the ear. The cooked corn will slip right out of the husk, completely free of silks. Lightly brush husked corn with olive oil. 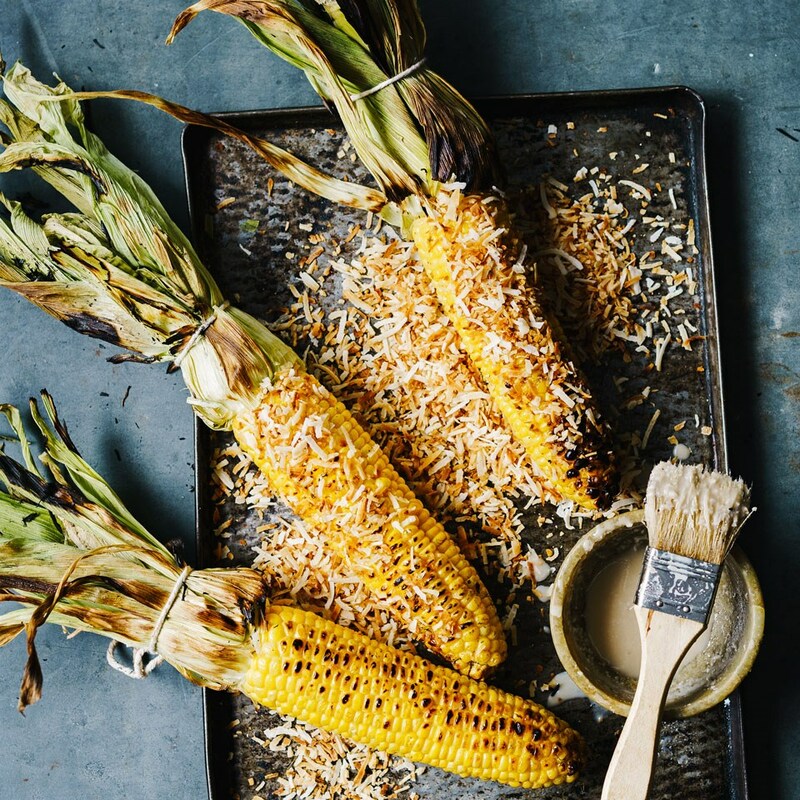 Place on a grill preheated to medium-high and grill, turning occasionally, until the kernels are lightly browned and charred in spots, 6 to 10 minutes. Keep in mind that smaller kernels cook more quickly. Bring a large tea kettle of water to a boil. Place husked corn in a large skillet. Pour boiling water over the corn. Turn your stove on and cook over high heat until the water returns to a boil. Immediately drain.